Antigua Guatemala definitely isn’t short of fun things to do, but if you’re watching the pennies some of the town’s best attractions may be too pricey. Fear not, however, as this colonial city also has a plethora of free activities on offer. Here are the best free things to do in Antigua. Guatemala is famous for its woven textiles, so if you’re interested in learning more about these beautiful designs, head to Casa del Tejido. 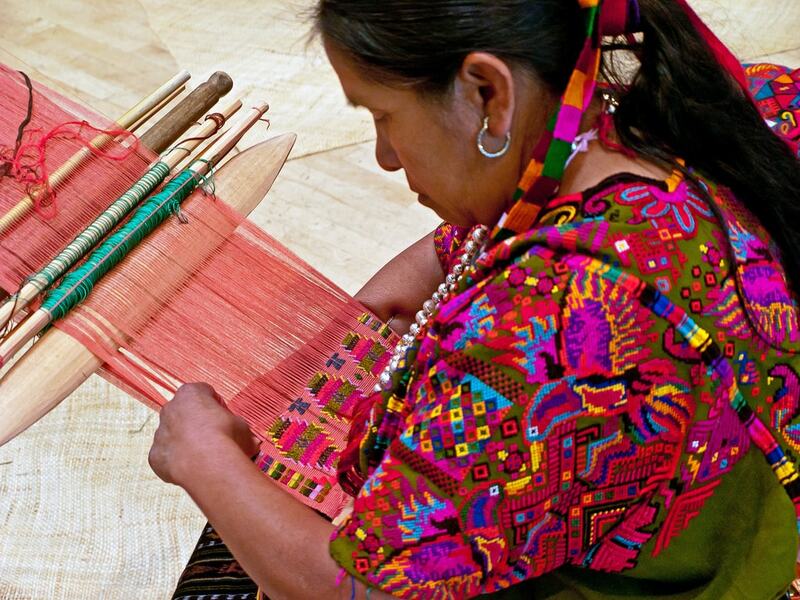 Mayan textiles are far more important than one might think, and at Casa del Tejido you’ll learn all about the significance and history of the different Guatemalan weaves. Essentially a museum, market and workshop in one, entrance to Casa del Tejido is free, although donations are strongly encouraged; the money goes towards supporting the work of indigenous Mayans. 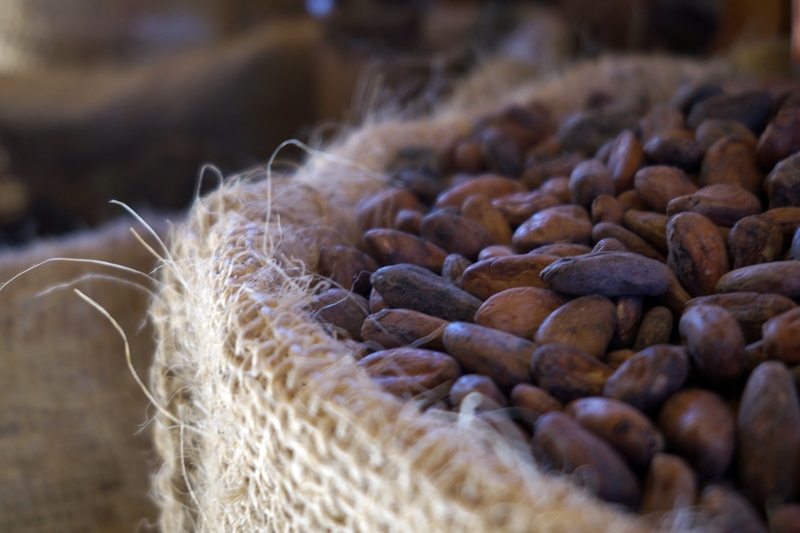 Guatemala is famously the birthplace of chocolate, and Antigua is the place to discover the delights of this decadent product. Entrance to the city’s famous Choco Museum is free, and if you have a sweet tooth it should definitely be on your ‘must-visit’ list. Learn about the Mayan’s history with the ‘food of the gods’, participate in one of the fun workshops, and learn the secrets of turning bean into bar. As if that wasn’t enough, you can enjoy plenty of free tastings along the way! On a sunny day, taking a leisurely walk up to Cerro de la Cruz (Hill of the Cross) is an extremely enjoyable activity. Located on the edge of town and perched upon a hill, this large cross looks out onto the best views of Antigua and its volcanoes. The walk itself only takes about 30 minutes, and when you reach the top its dramatic views will unfold beneath you – so don’t forget your camera! There are often food and drink stalls here, as well as locals selling trinkets and souvenirs, so it’s a great spot to chill out. Wandering through Antigua’s colorful market is a great way to get a feel for this city, and it’s entirely free. 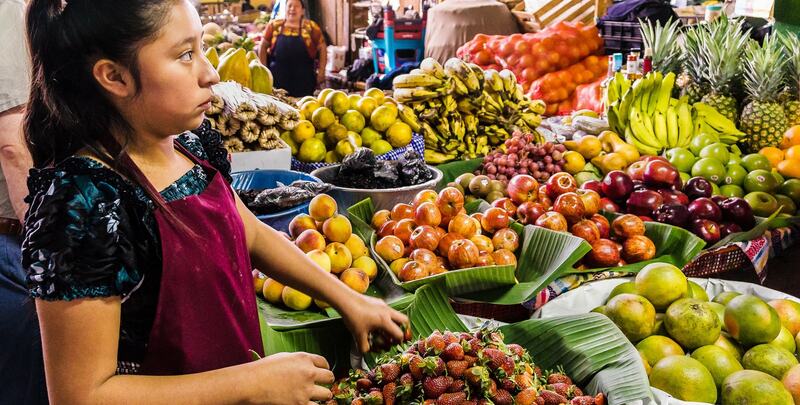 Forget the touristy handicraft markets – the mercado is the local market, and you can buy everything here. If you’re on the lookout for cheap souvenirs, this is the best place to come, but you don’t have to spend a penny to get your money’s worth. Stroll through the maze of passages in the covered market, watch the locals going about their everyday business, and snap some photos which are quintessential Guatemala. Staying at Antigua’s Casa Santo Domingo is definitely not for people on a budget (it’s a five-star hotel) but this unique place has many other free activities worth visiting for. Part museum, part art gallery, part exotic gardens, entrance to the grounds is free, and on a fine day there’s nowhere nicer to be in the city. 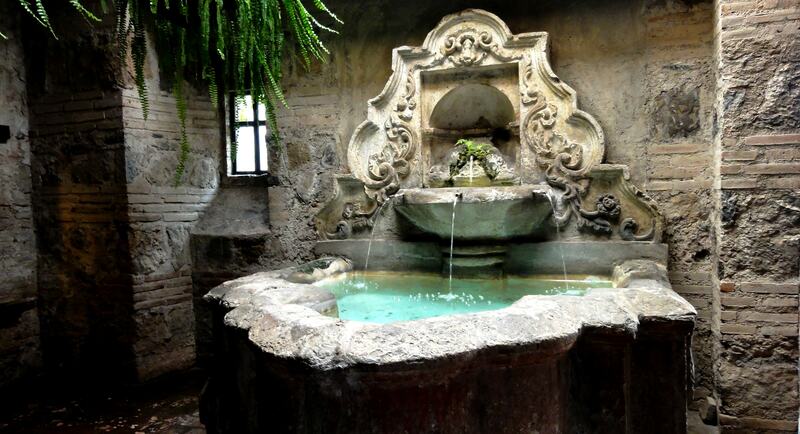 Stroll through gardens adorned with stately fountains and historic crypts, admire the spa pools and spot the host of exotic birds that live here. Entrance to the chocolate factory, candle factory and multiple museums can also be accessed for free. La Antigua Galería de Arte is the city’s biggest and best gallery, and luckily for art enthusiasts it’s totally free. Housed in a grand colonial mansion in the center of the old town, the gallery exhibits a wide range of artwork by over 60 established artists from Guatemala and Latin America. From Puerto Rico to Colombia, contemporary work to religious pieces, outdoor sculptures to abstract carvings, this gallery is the best place to explore the art scene in Latin America.